Get immersed in Spanish language classes with this intensive course in downtown Buenos Aires. Join other students for 30 hours per week of classes and develop key language skills such as speaking, listening, and reading. Several levels of language classes, social activities with other students, and a benefit card with discounts on things to do like tango classes are included. 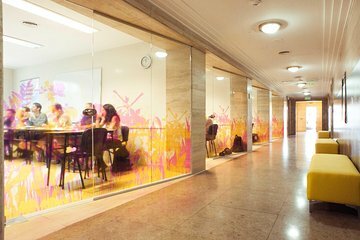 Classes are held in our renovated building in downtown Buenos Aires.